Welcome to Blue Ribbon Construction! Award-winning homebuilder in Oklahoma City! We provide outstanding value with our functional floor plans, versatile style and appealing exteriors. You’re sure to find a home that fits your ideal budget and taste. As members of the Central Oklahoma Home Builders Association and the National Association Of Home Builders, Blue Ribbon Construction is a name you can trust. We have twice been recognized as COHBA Home Builder of the Year, while also receiving awards in various home show competitions for Most Innovative Design, Best of Show, Best of Show Runner Up, Best Master Bath, Best Kitchen, Best Landscaping Design, and more. Blue Ribbon Construction builds homes in Oklahoma City and the surrounding Metro. New home construction is currently underway in Edmond, OKC, Guthrie, Choctaw, Harrah, Noble, Little Axe, McLoud, Piedmont, Moore, Bridge Creek, Cashion and Blanchard/Middleberg Schools.  We are a Certified Professional Builder fully certified by the OSHBA! Click HERE to learn more about the program and why it’s important to choose a Certified Professional Builder for your new home! We welcome all Realtors and Brokers! If you are a Realtor working with a client that is looking for a new home, feel free to contact us and register them with us at any time and you will be fully protected! If you are a buyer looking for a new home and not currently working with a Realtor, Blue Ribbon Real Estate Group can help! Mike is a long time Broker licensed with the State of Oklahoma and Brett is a licensed Broker as well! If you are currently working with a Realtor or Broker, this is not a solicitation for your business. Contact us today if you have any questions! Newly posted 3D virtual home tours hot off the presses! Virtually walk through our popular Angeles and Kisatchie floor plans in Timberland Hills! 3D tours are available under the "Virtual Home Tours" menu option across the top of our site!